Meet Shabia Walia, the woman behind Wild Earth, which believes in creating skincare products that are in sync with nature. It’s in the wild that true beauty lies. The wild is pure, untampered and honest. At Wild Earth we believe in creating products in sync with nature. We strive to retain the goodness of ingredients in our products without tampering with their purity or simplicity. Our products are free from sulphates & parabens, cruelty free and packed with only what’s good for you and your skin. All ‘Wild Products’ are handcrafted, natural and eco friendly. Transparency is very important to us and you will always know what ingredients go in each of our products. The only ingredient not listed is Love which is sprinkled lavishly on all our products. However, we promise you will feel that love whilst using ‘Wild Earth’ products. You can also find them at The Bombay Store, Dorabjee’s and Bliss Store in Mumbai. Wild Earth was born out of Shabia’s fears of what she put on her baby’s body after she became a mother. The labels scared her and the fact that she did not understand what went into the products made her uncomfortable. Being the solution driven person she is, Shabia started making soaps and lotions in her own kitchen. Soon word spread and mothers were demanding her to make the full range. Her experiments proved to be a huge hit with everyone and soon she was forced to move from her kitchen to a proper office and workshop. Today Shabia is proud to have created a brand that provides natural quality products which young, old and babies can use without any fear of side effects of harsh chemicals. The company today sells online, thru retail, corporate gifting and also exports abroad. The fact that our products are handmade, free of harmful chemicals, made by a mother, cruelty free, and that the brand is socially conscious attracts our customers to our brand and once they have tried our products, they are hooked. People love our body butter, lip balms and handmade soaps. Also our gift hampers are a huge hit! 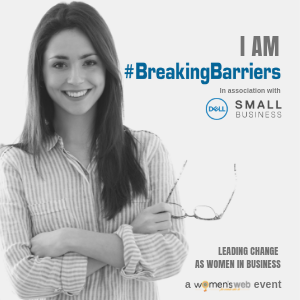 Are you a woman entrepreneur doing cool stuff? Fill up our form here and we may feature you! Having the academic qualifications of an engineer, I am more of a wanderer at heart.